Ie. 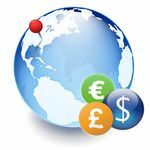 : if you prices are in US Dollars - and your site visitor is viewing your site from Germany, then the prices will be converted into Euros, but if they are viewing your site from Japan then they will see a conversion into Yen. All of this happens automatically with no intervention from the visitor required. You can read more details here Geoip Currencies. First post updated with the new releases. The add-on is compatible with CS-Cart v.4.1.2, no update required from the prior version. Minor bug fix in the v4 versions. The compatibility with CS-Cart v.4.1.3 was tested, update is not required from the previous version. Please take a look at the features included. The compatibility with CS-Cart v.4.1.4 was tested, update is not required from the previous version. We are proud to announce that the Geoip Currencies add-on has been successfully ported to CS-Cart 4.2.x. Update not required from previous version. We are proud to announce that the Live Geoip Currencies add-on has been successfully ported to CS-Cart 4.3.1. We are glad to announce that the compatibility with CS-Cart v.4.3.7 was tested, update isn't required from the previous version. We are glad to announce that the compatibility with CS-Cart v.4.3.8 was tested, update isn't required from the previous version. We are glad to announce that the compatibility with CS-Cart v.4.3.10 was tested, update isn't required from the previous version.